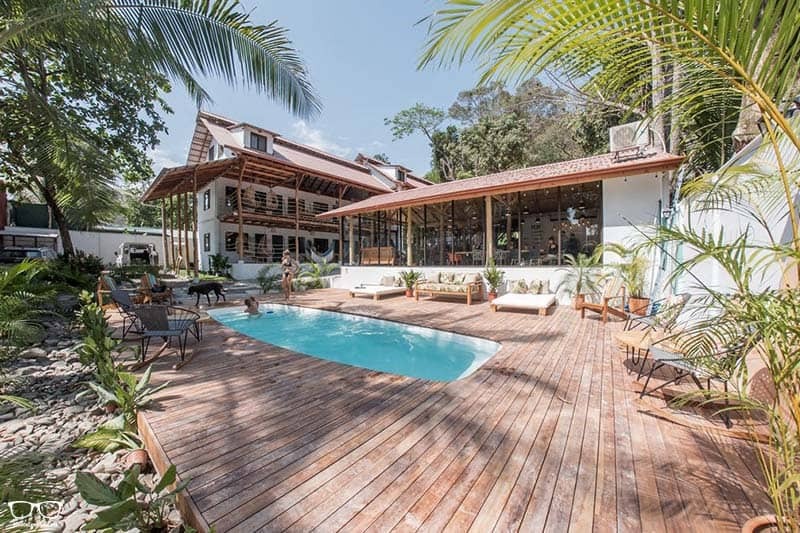 Are you about to head to Costa Rica but still unsure where exactly to stay? 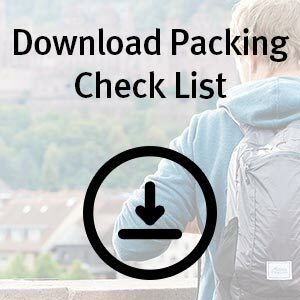 You’ve just so happened to stumble upon the perfect guide for you. 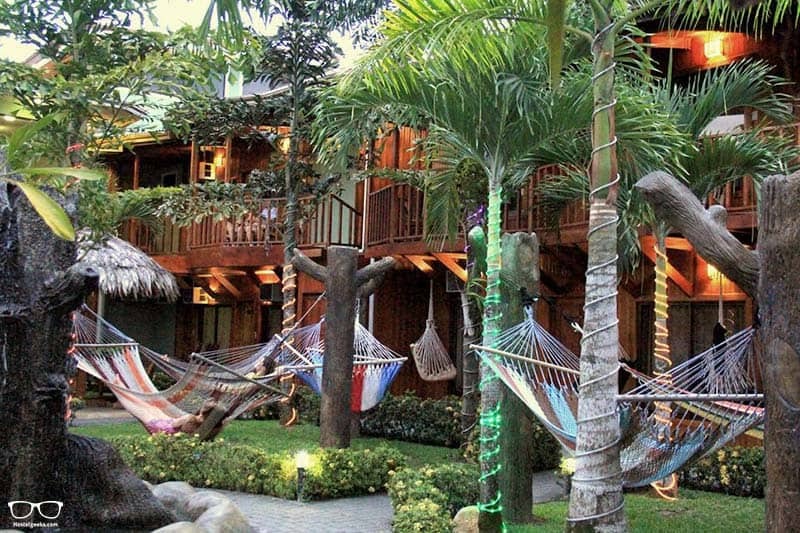 Here we have a collection of the best hostels in Costa Rica. 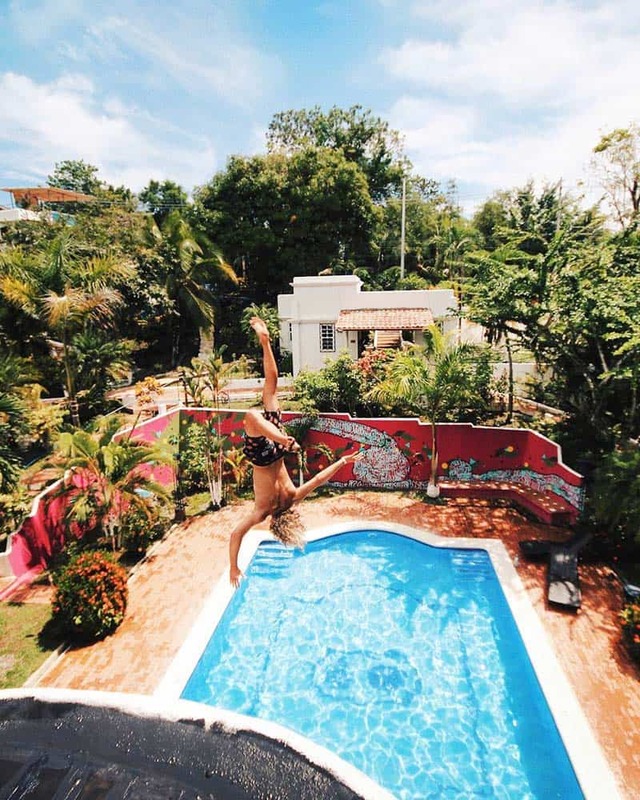 From San José to La Fortuna – we’ve got every cool destination covered. 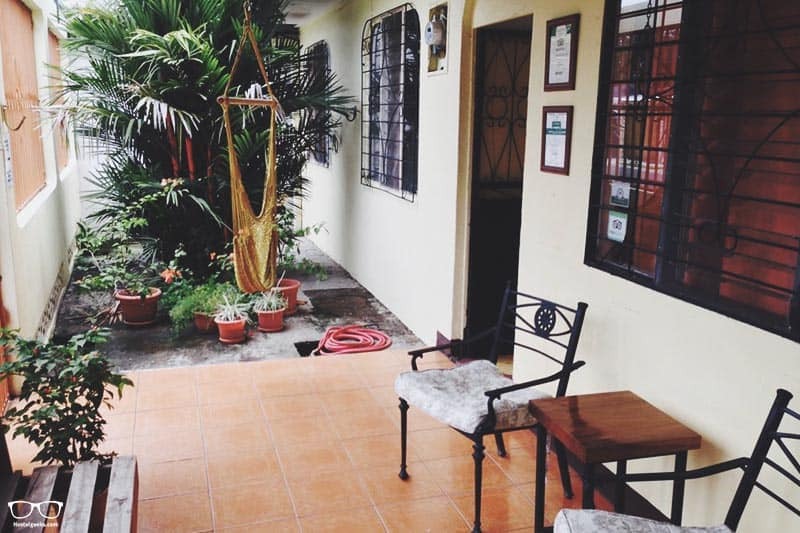 Are these really the top hostels in Costa Rica? The quality of some of these hostels will have your draw dropping to the ground. No joke. All of the usual bases are covered. 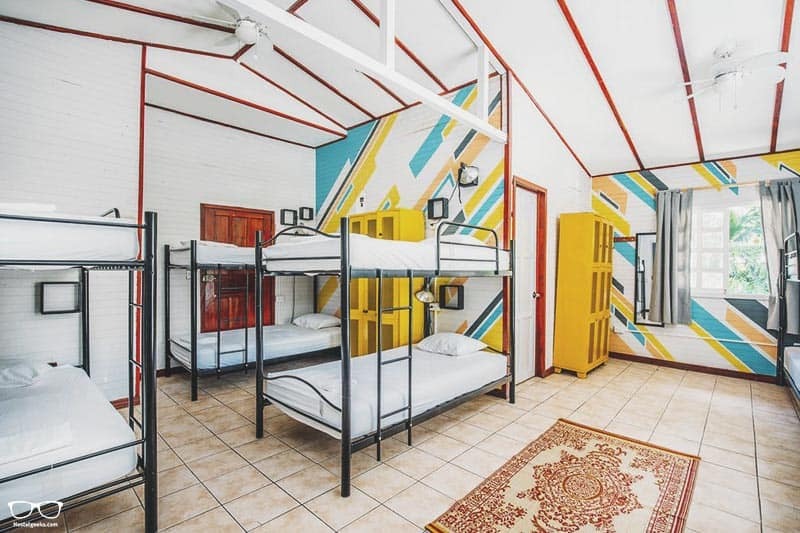 There’s a hostel for female solo travellers, couples and of course, backpackers. They all offer something for everyone, it just depends what you’re after. 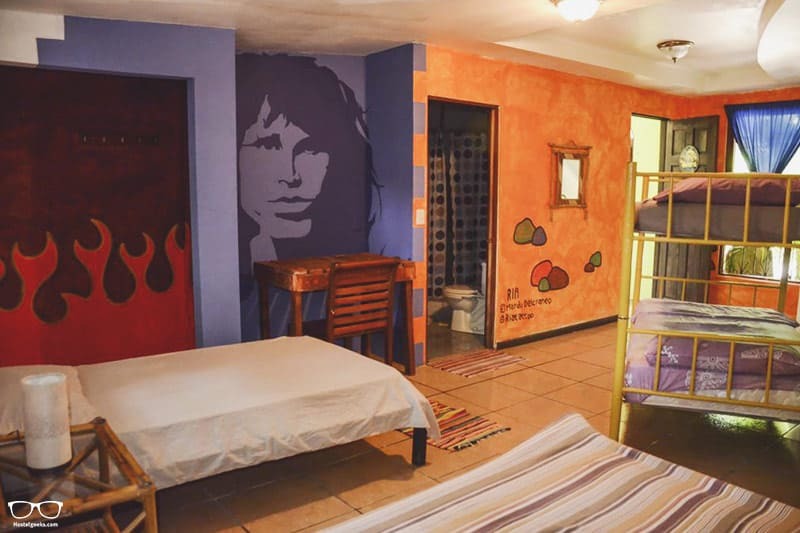 There’s even a fabulous 5 Star Hostels in San José, Fauna Luxury Hostel and Casa Zen in Santa Teresa. We are Hostelgeeks and we discover the world’s greatest hostels, including the best hostels in Costa Rica. 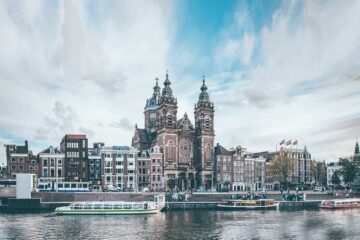 Come on then, we know you’re eager to discover cool hostels. Phew, that’s a lot of ground to cover! Grab a large coffee and let’s go! Feel free the skip straight to the full map with cities and hostels here. No doubt many of you are kick starting your adventure in San José. This is truly a space created by creatives and as a result, their handmade work has developed a wonderful community space. It’s the pod dorms that really stand out. There’s something great about privacy in a shared room. Located in a quiet residential area not far from the city, this one is for those looking for a break from the urban mayhem. 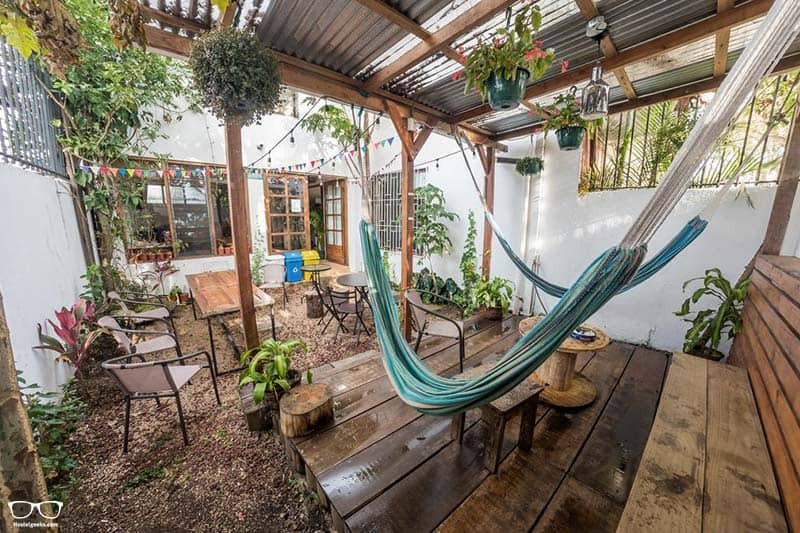 If you’re looking for A* style, good vibes and a beautiful setting, choose Fauna Luxury Hostel. The spacious pod beds allow for a bit of privacy, and the swimming pool – surrounded by towering trees – is a great spot for socialising. Only 9km from the city, you’ll be surprised how lush the sloping hills of Escazú mountain range really is. 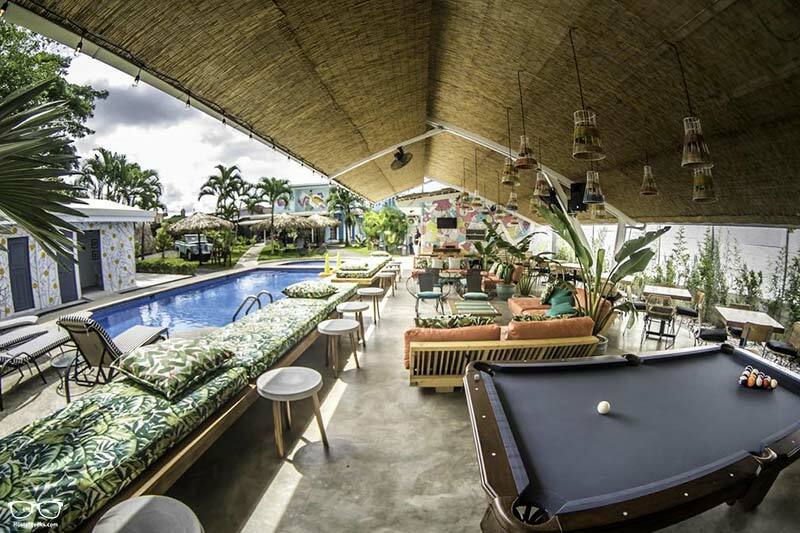 Read our full review of Fauna Luxury Hostel. 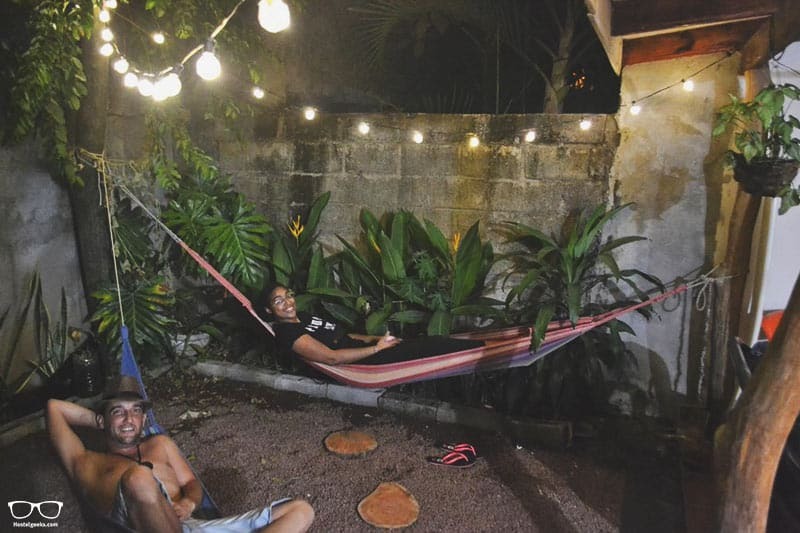 This funky hostel with backpacker vibes is located in San Pedro, the best and safest area of the city. Reception is open 24-hours and there is no curfew. 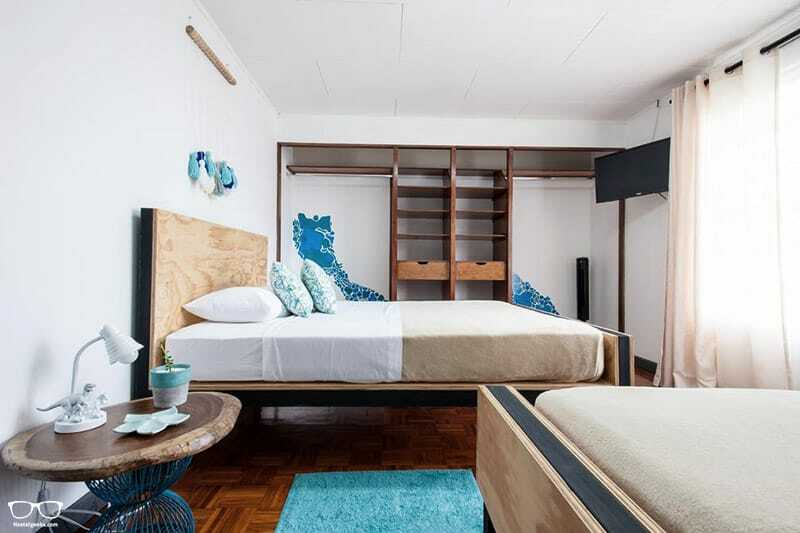 Selina San José has a real cool edgy urban vibe and boasts tempting private rooms. Think tons of space and rich oak furniture. There’s a communal area, co-working space, games room and on-site bar selling delicious cocktails. If you’re looking for things to do, consider joining an organised yoga session or rent a bicycle. The area of Barrio Otoya is full of Latin spirit. By nightfall go salsa dancing or start a pub crawl. This affordable and safe hostel is located just 100 metres from Liberia’s main bus station and city market. It’s a good choice if you’re looking to relax – there are some hammocks and a cosy front porch. The friendly staff can help arrange an airport pick up, as well as a shuttle to Rincon de la Vieja National Park. Hostal Nanku is certainly central. 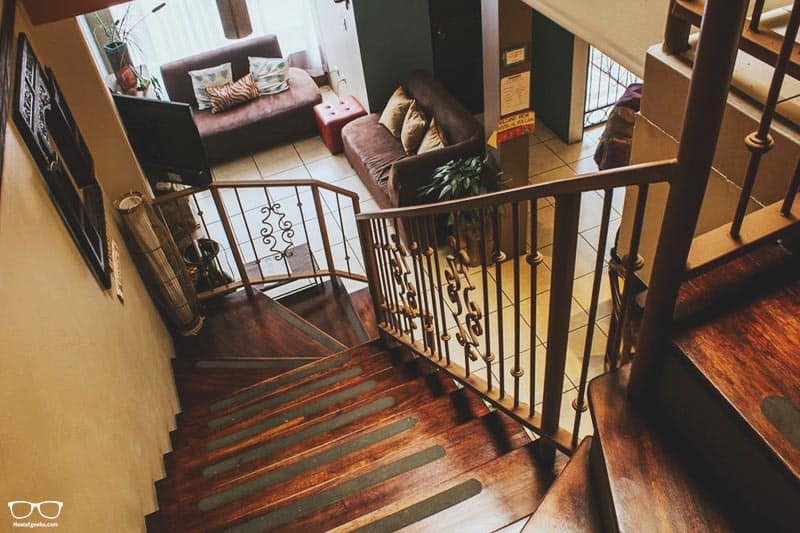 It’s a 2-minute walk to the nearest bus station and a short walk to the city centre. The staff, actually we should say the family, are very welcoming and helpful. They understand travellers needs and offer a very generous 2pm check out! If you’re keen to cook you’ll appreciate the communal kitchen. Relax after a long day in one of the hammocks out in the back. If you’re visiting Bijagua then you won’t want to miss out on seeing the Celeste River. 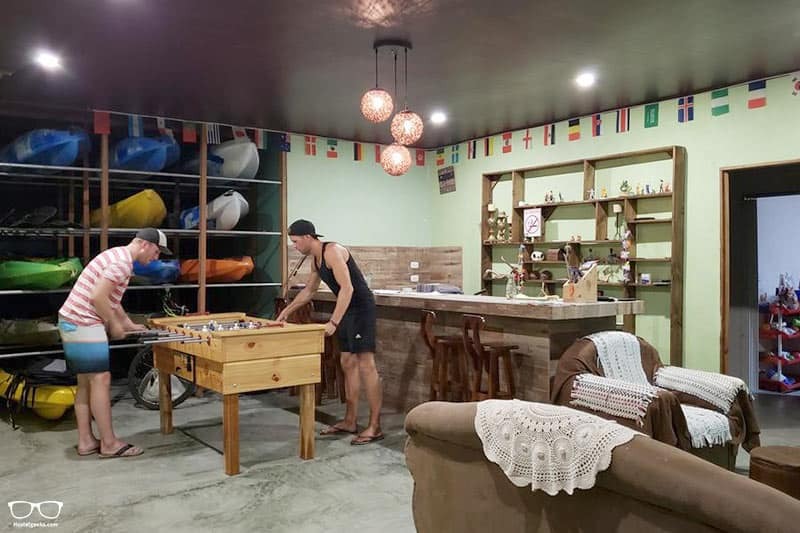 As you’ve probably guessed, Rio Celeste Backpackers is close to Tenorio Volcano National Park and the Rio Celeste – just 9km away, in fact. There are shared dorms and private rooms available here. Tours to Tenorio, bird watching and night walks can be arranged. Just ask the helpful staff at reception. 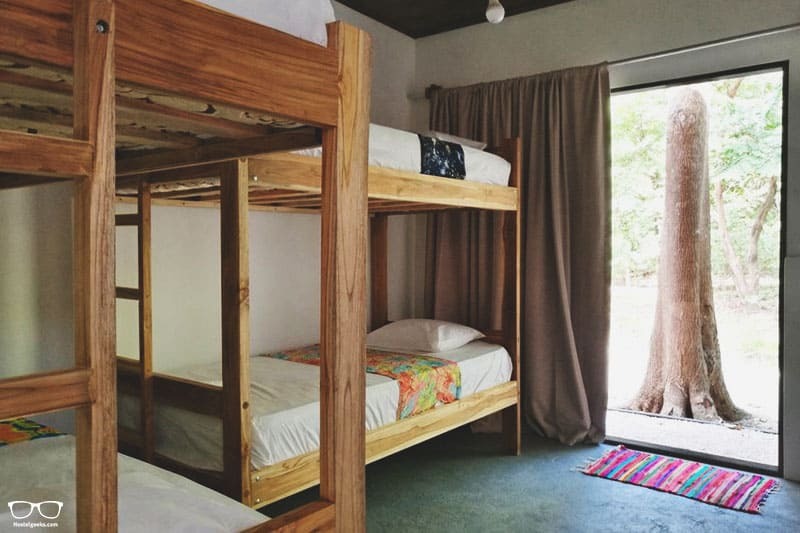 Get ready for open-air river front dorms at Utopia Tica, Sustainable Lodge. Expect to seriously lower your carbon footprint whilst staying here. There are compost toilets and the on-site meal ingredients are all ethnically sourced, organic and local. When they say beachfront, they really mean it! Casa Aura offers 5 en-suite rooms and two, 2 bedroom apartments suitable for groups of 4-10 people. Roll of out bed, enjoy your free breakfast and jump straight in the ocean. You only need stroll a few steps to restaurants and a handy supermarket, too. 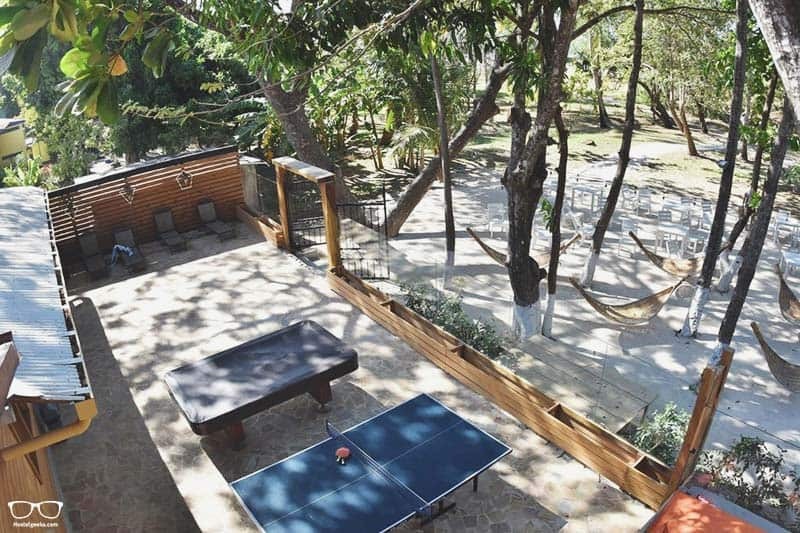 The outdoor terrace is surrounded by palm trees and has enticing hammocks with jaw-dropping views. 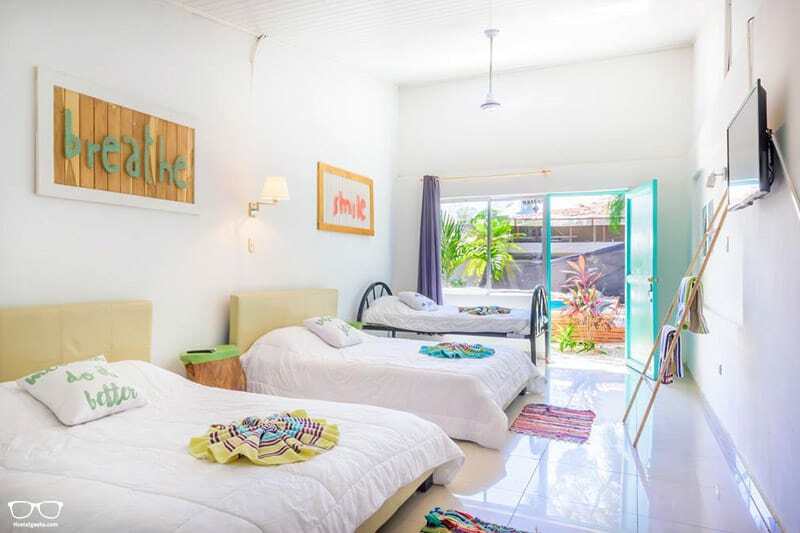 Here we have the best choice for backpackers in Tamarindo – it’s affordable and friendly. There’s what’s known as a ‘rancho’ here which is the perfect place to chill thanks to hammocks, rocking chairs and day-beds. This is enhanced with great music and fast wi-fi. Oh and guess what? The beach is just a few hundred metres away. 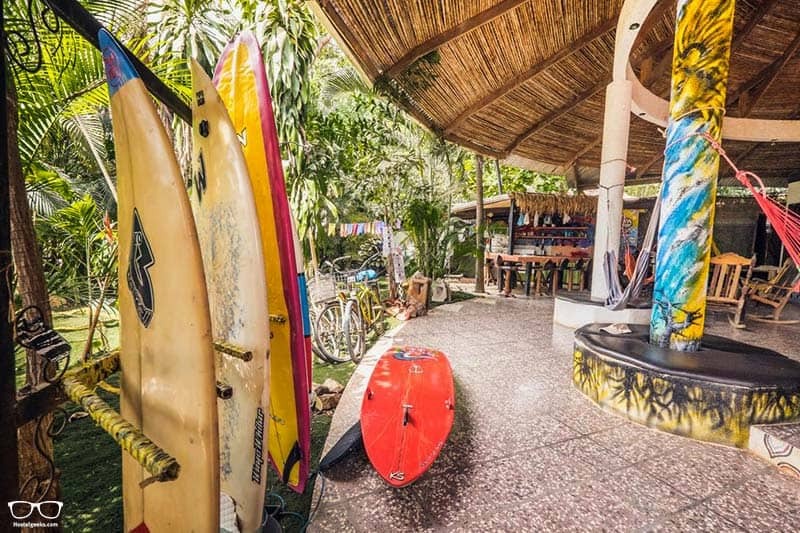 If you’re looking at learning to surf, you’ll love staying at La Oveja Negra & Surf Camp. But the name already gave that away, right? 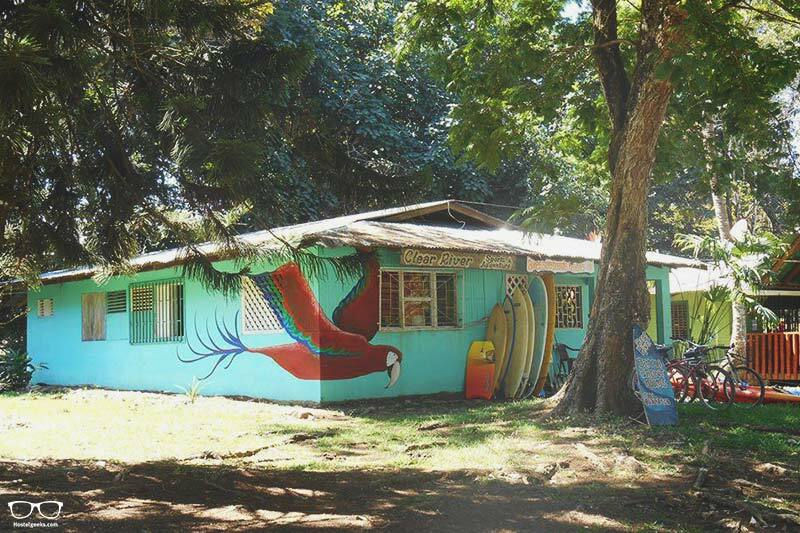 They specialise in surf lessons and Negra is well known for having some of the best instructors in Costa Rica. Regain energy by the pool and get ready for great night life every day, including live music and special events. It’s a seriously cool mix of surf and party. This newly renovated hostel is perfect for youths, students and travelling groups. 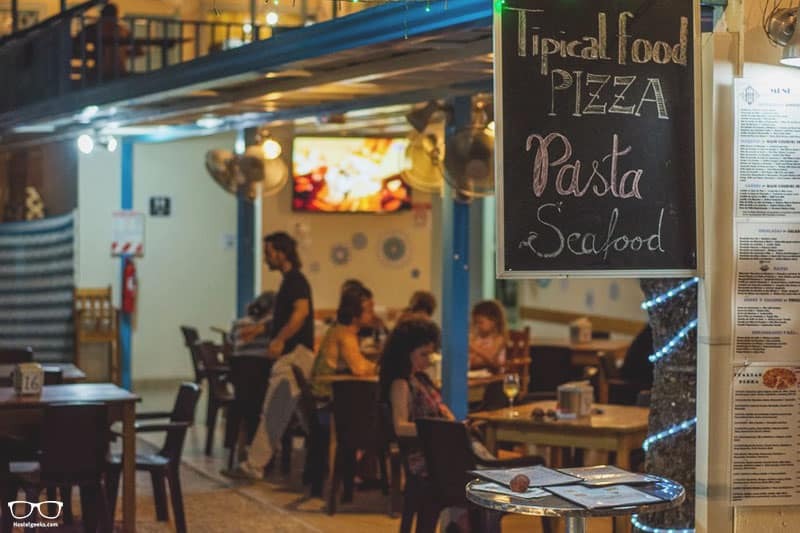 Hostel Sámara is slap bang on the beach front, minutes from the restaurants, shops and nightlife. 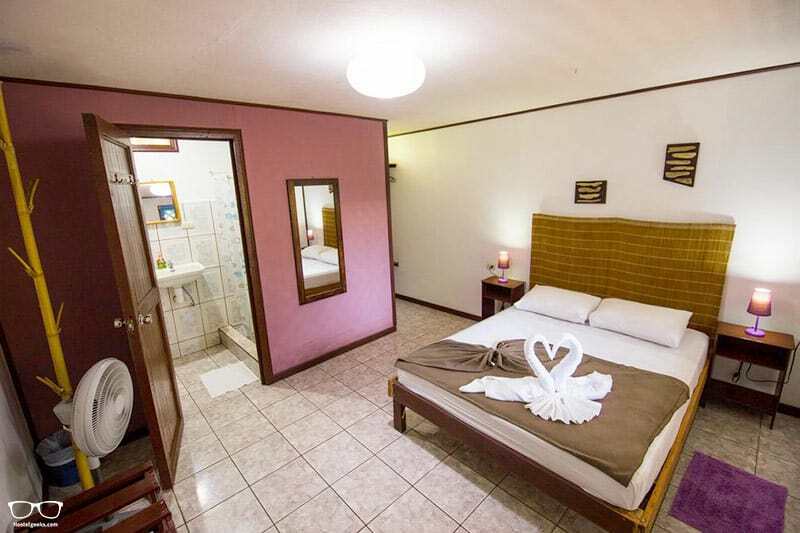 The rooms are of high quality, with ready-made beds to welcome you. Also find hammocks dotted around and outside seating areas outside the rooms. 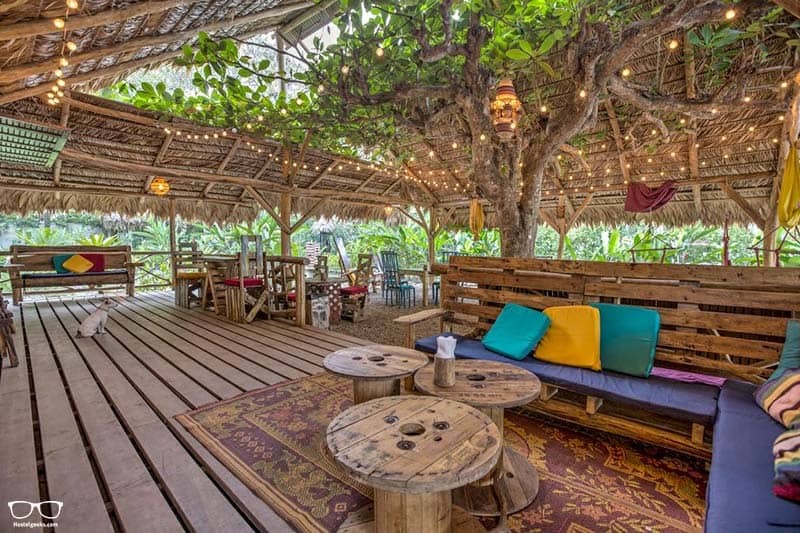 Once again Las Mariposas is 50m from the beach and boasts a great outside chilling area with hammocks and charming ambience. The social atmosphere comes together with a weekly open-mic night and nearby bars and restaurants. This gorgeous little hostel really stands out thanks to the staff and little extras such as free coffee to kick start your day. Not only do we have here a super duper hostel, but also a TEFL, Surf and Spanish school..! Located almost literally on the Pacific Ocean, town is just a 10-minute walk and 2-minutes to a nearby waterfall. Nice, huh? 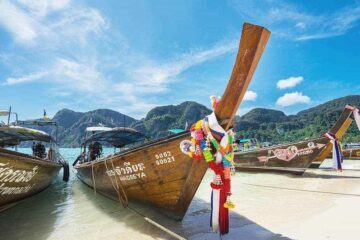 It’s paradise for travellers looking to relax, with the option of joining many cool activities. 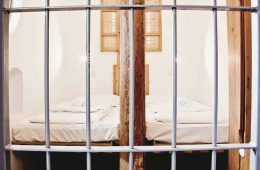 The mixed dorms and private rooms are basic, but you won’t want to spend much time indoors anyway. That’s a fact. Welcome to the only hostel located on the beach, and a wonderful home-from-home vibe thanks to the well-travelled staff. You’ll find perfect spaces for yoga and meditation, chilling, reading and getting to know the rest of the ‘family’. And of course the ocean which is literally on the doorstep! There’s a fully-fitted kitchen and BBQ area which is often used for shared dinner nights. 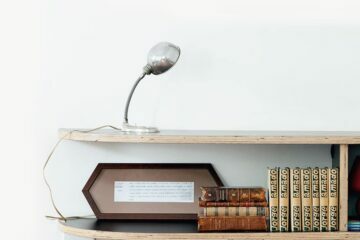 Selina Santa Teresa South is seriously stunning with its soft, pastel design and huge spaces. Not to forget the gorgeous pool area outside! There’s a mix of room types including standard, private, deluxe and even a 2-bedroom apartment on offer. Connect with others to keep on top of your work with the well thought out co-working space. 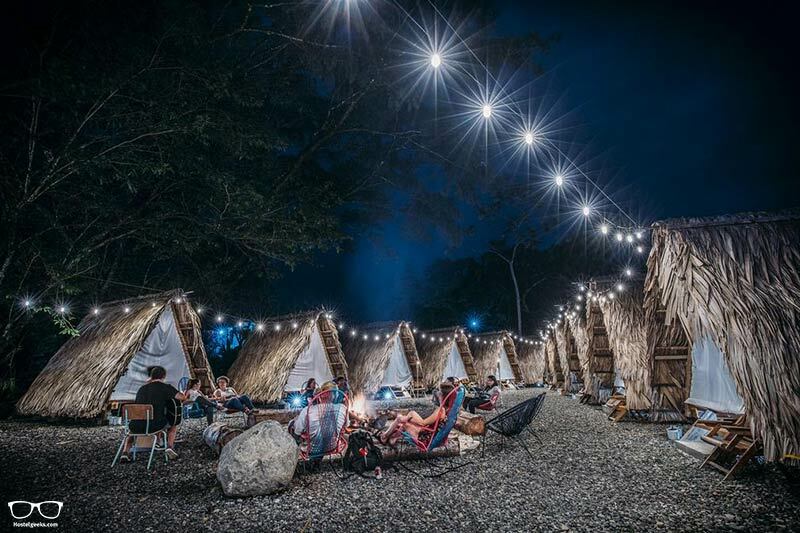 This gorgeous wooden building is where chill vibes take over. Hang out in the comfy sofa areas, or chill out in a hammock and yoga platform. 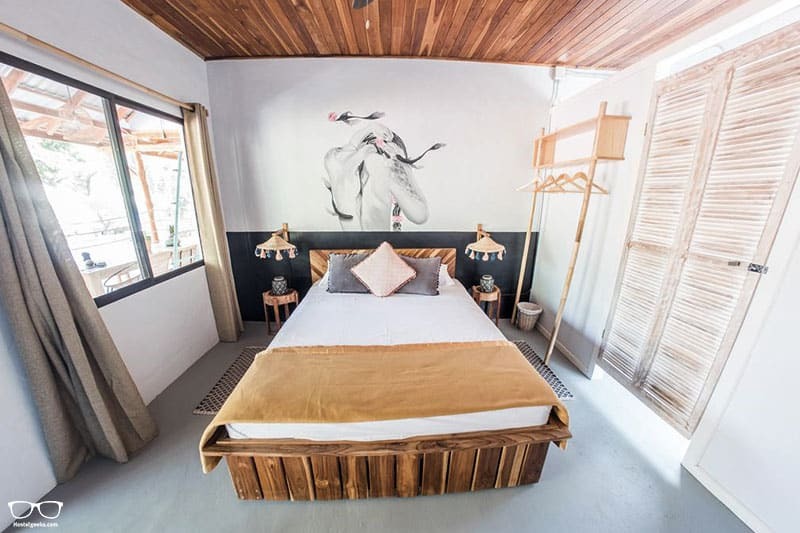 Not far from the beach, Casa Zen is tucked away in a quiet area and a little off the beaten path. There are both shared and private rooms, well-equipped kitchens and helpful staff at the ready to share info and help with booking tours in the area. 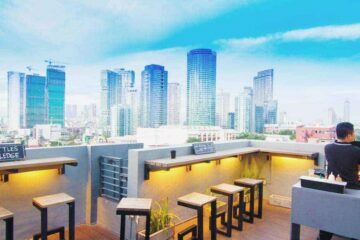 Read our full review of Casa Zen here. How do you fancy sleeping in a tent-shaped room made of straw?! We’ll race you there! 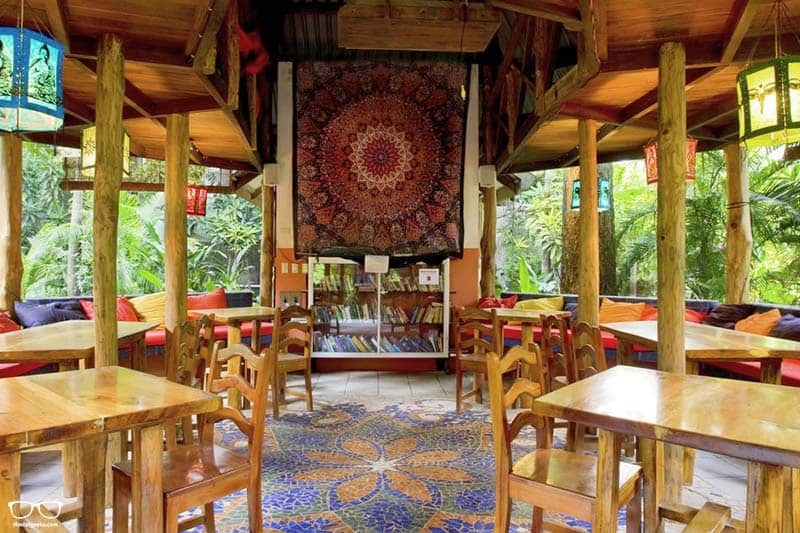 Selina La Fortuna is without doubt the best hostel in this area of Costa Rica. The rooms are one thing, but the swimming pool and social area are something else. What about activities? Join in..
It’s sociable, unique and certainly memorable. 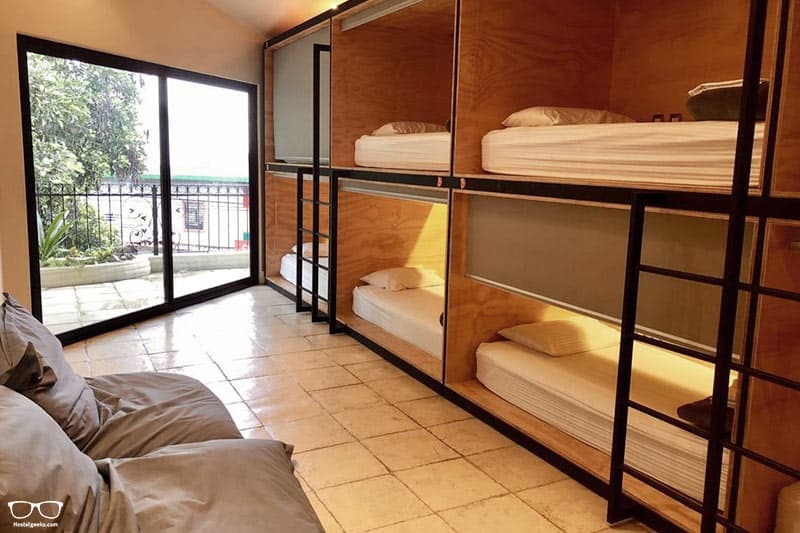 It is in fact modified shipping containers that have been used to create Arenal Container Hostel. It has done very well to impress guests since opening its doors in 2018. 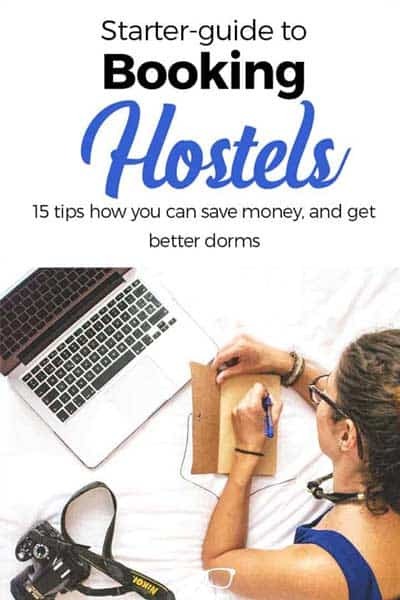 They don’t try to hide the fact that this hostel is simple and affordable because remember; travelling is more about the experiences. Head to the common areas and work-spaces to get social, and enjoy the close proximity to great restaurants, clubs and bars. 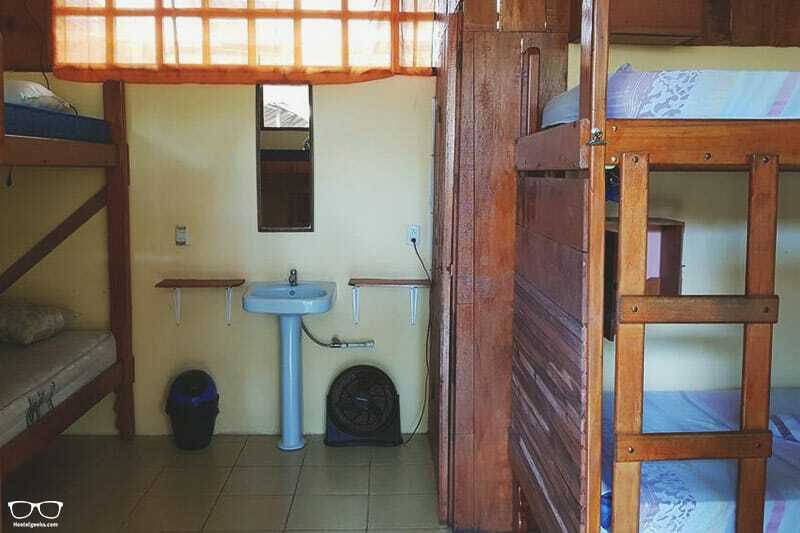 Arenal Hostel Resort is in the heart of La Fortuna and a great option for solo female travellers – there’s a 10 bed female dorm! It’s time to head to a land where clouds meet forest in the mountainous land of Monteverde. If you’re a lover of outdoor activities and beautiful forests (who isn’t?! ), then you’ll love being based at OutBox Inn. The owner and his staff go above and beyond to make everyone welcome, and they’re happy to help plan excursions and activities. 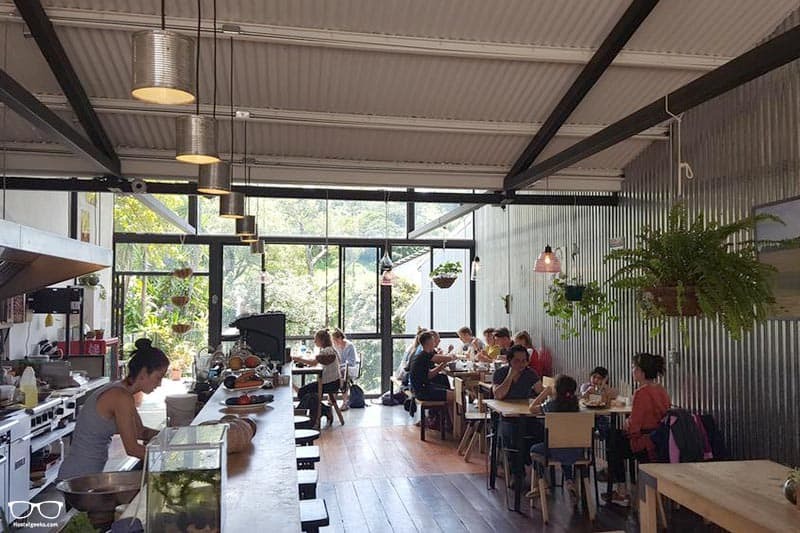 Make the most of the on-site restaurant and bar and lovely garden space. 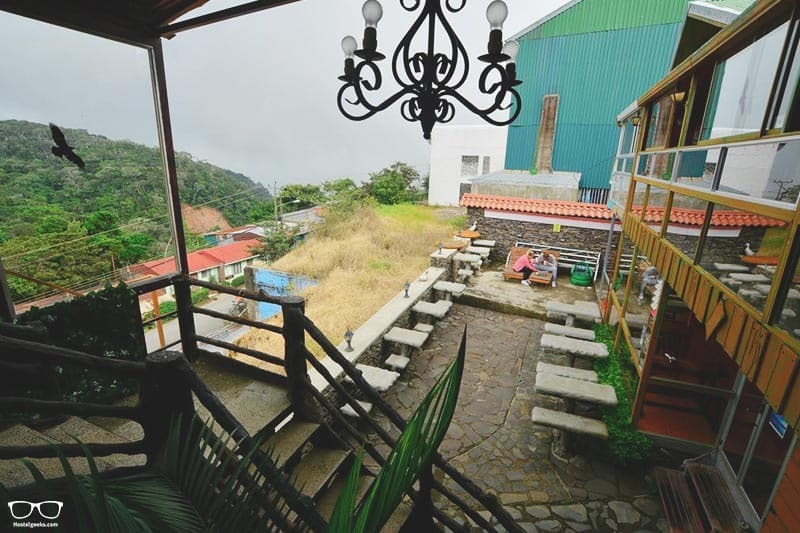 This wonderfully colourful hostel offers cloud forest views from the lodge balcony, kitchen and almost all outdoor areas. 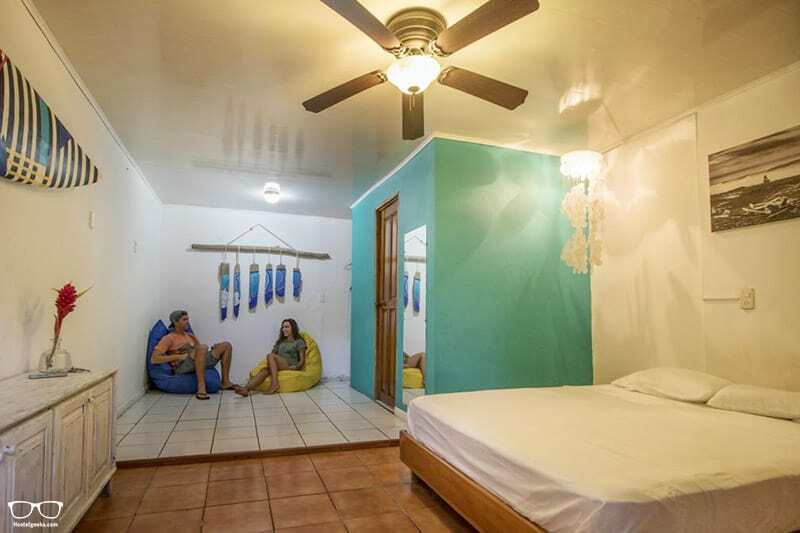 Cabinas Vista Al Golfo is an affordable option for backpackers that still want to maintain a close location to restaurants, supermarkets etc. There’s a handy kitchen to help keep costs low, including free tea and coffee which is always a welcome bonus. 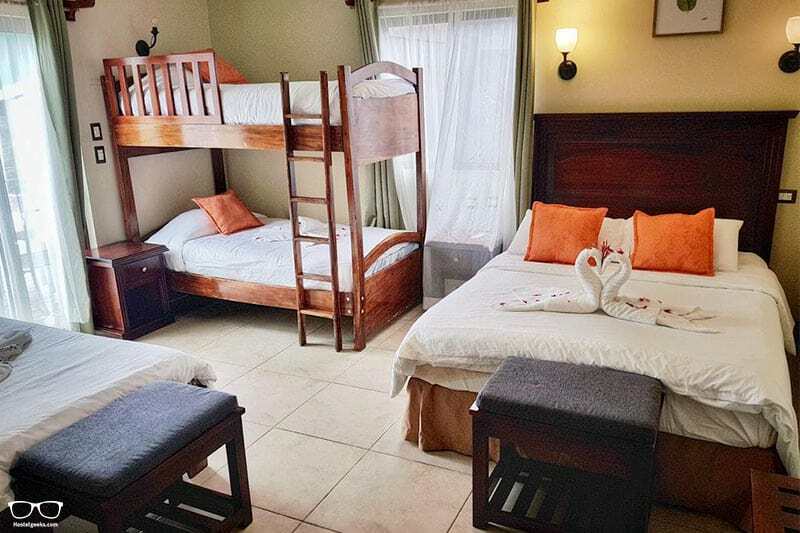 Camino Verde Hostel has only private rooms on offer that are designed perfectly for couples, families and small groups. It’s laid out more like a family house, encouraging all travellers to treat it like their home. 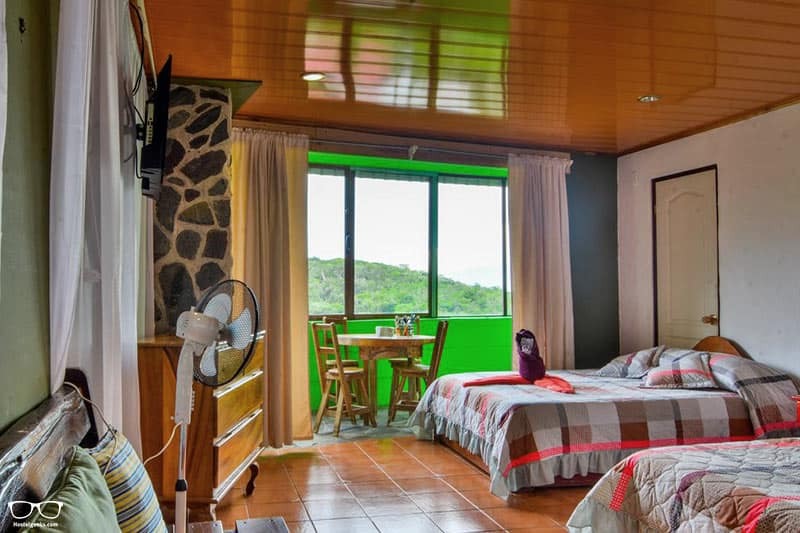 The balcony views and wooden interior will make you feel as though you’re living in the cloud forest! Enjoy a free brekky and be sure to ask the staff about excursions and generous discounts. 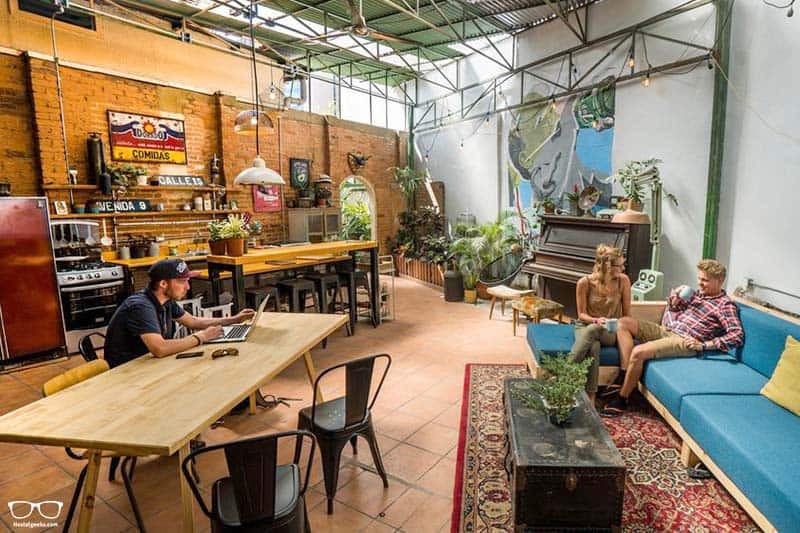 This gorgeous hostel is quite literally a natural extension of the surrounding environment. 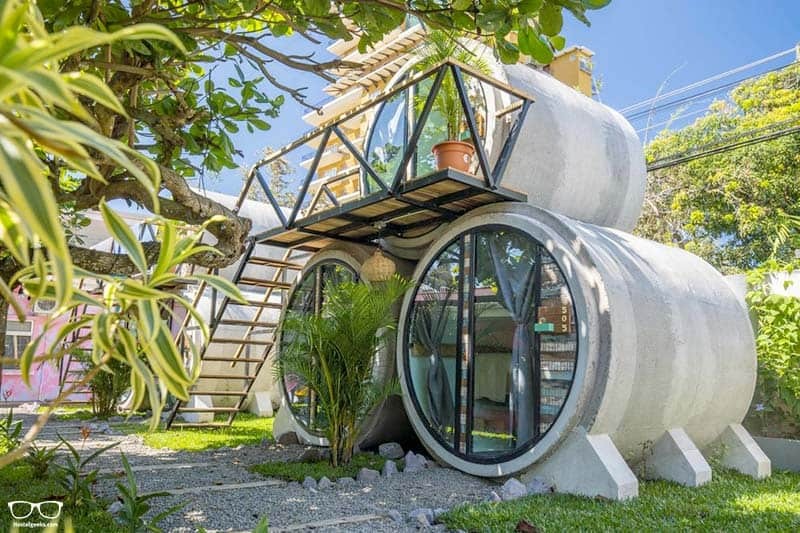 Just look at the unique design of the place! 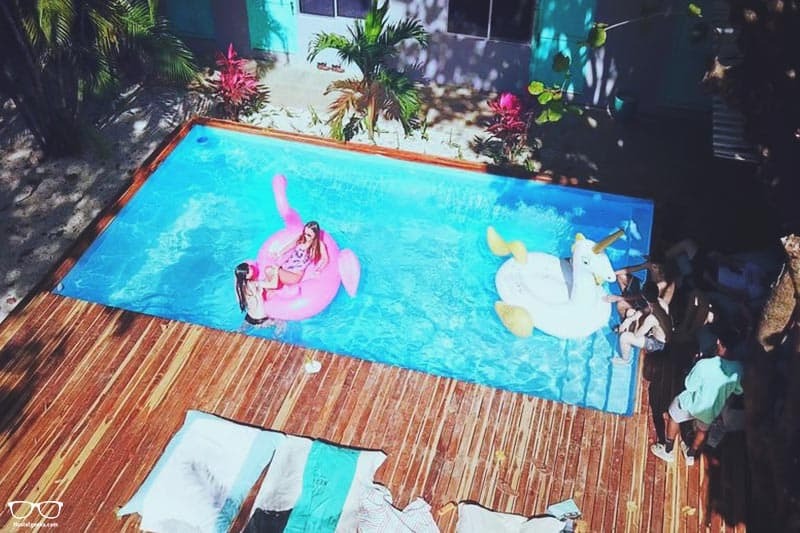 Selina Jacó, boasting a pool and bar, is right next to the beach so you can be well and truly lazy whilst staying here. Solo travellers looking to meet people will enjoy the large dorm rooms here, including a female dorm. There are several common areas to enjoy, including a swimming pool and restaurant. The beach is only a stroll away, too! It’s a safe choice with 24-hour reception and a great location close to everything you need, including that all important nightlife. 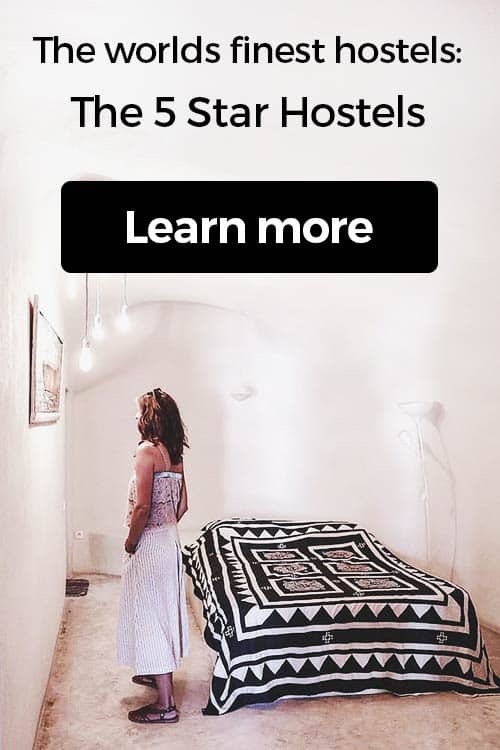 Here we have a delightful blend of the social atmosphere and affordability of a hostel, with the style of a boutique hotel. Relax after a long day in your chosen dorm, shared or private room. 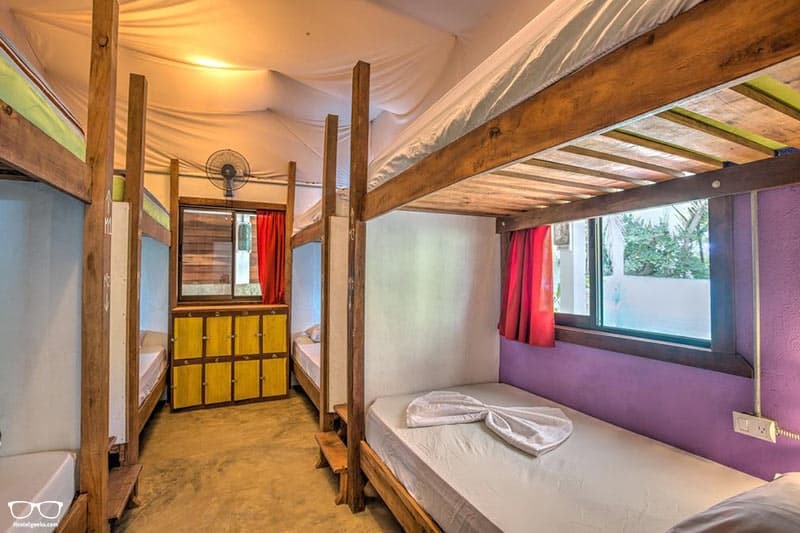 Steps away from the beach and moments from town; Beds on Bohio Hostel is a quality backpackers we know you’ll love. Their on-site bar, Swell, is the place to be for travellers to hang out. 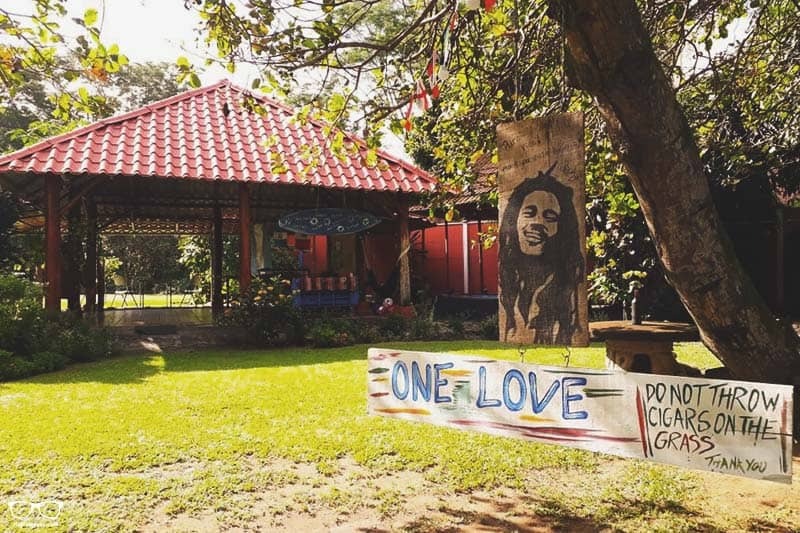 Enjoy a game of foosball, darts and beer pong, or just catch up with new friends to the sound of reggae music. To top it off the rooms are spacious and bright, and there’s a pool in the garden. 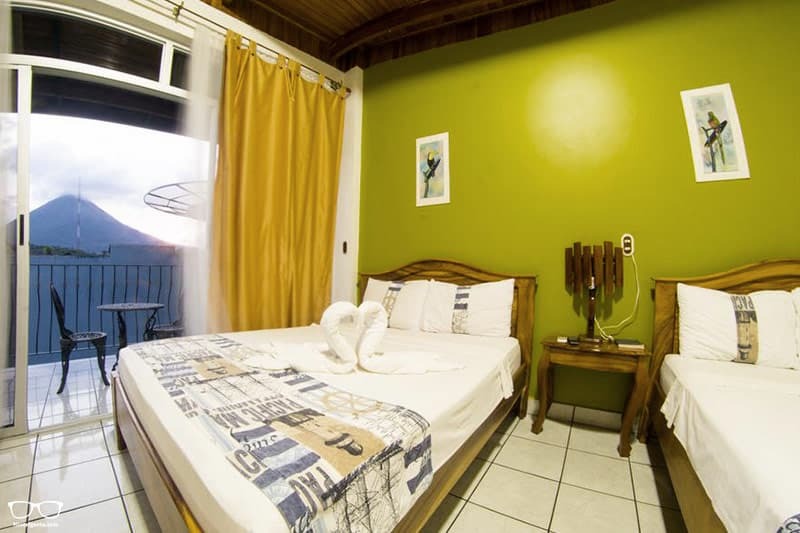 Overall Boutique Hostel Casa de Lis is an intimate, cosy hostel with fair-sized dorms and a relaxed, quiet atmosphere. Located in the centre of town, the main bus terminal is just a 7-minute walk. There’s free tea and coffee available each morning and several common areas including a rooftop terrace, garden and living room with TV. Seeing monkeys in their natural habitat is pretty special, and Quepos is the gateway to that very experience! 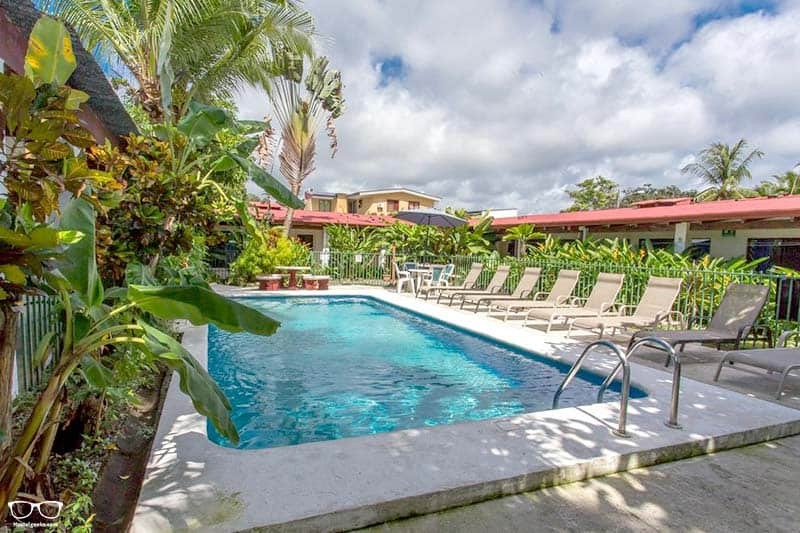 Welcome to the only backpackers hostel in Quepos that has a pool at an affordable price. This really is an all-rounder thanks to the variety of rooms on offer. It’s great for couples, solo travellers, groups and families. 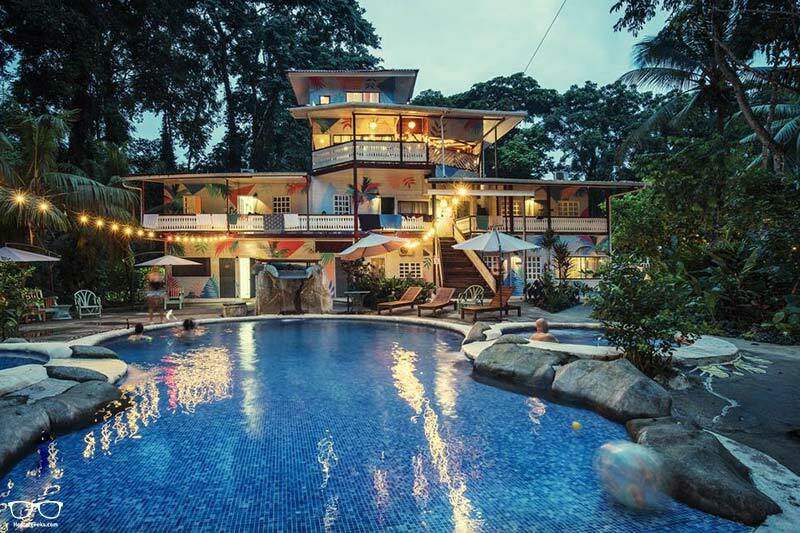 Just 10 mins from Manuel Antonio Beach, Wide Mouth Frog is situated in a quiet part of tropical paradise. 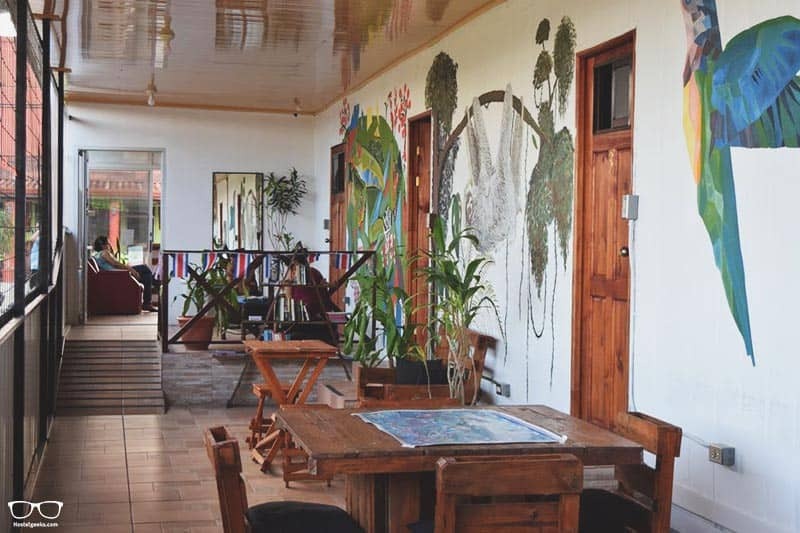 Passifloras Hostel is simple, ideally located and run by incredibly friendly staff. If all you need is a safe, clean place to lay your head and cook up a meal, then this is a great option for you. Manuel Antonia is accessible by bus which is a 2-minute walk from the property. 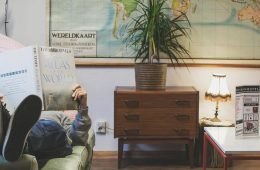 Stay here and you might mistake this hostel for a boutique style hotel, but at an affordable hostel price! 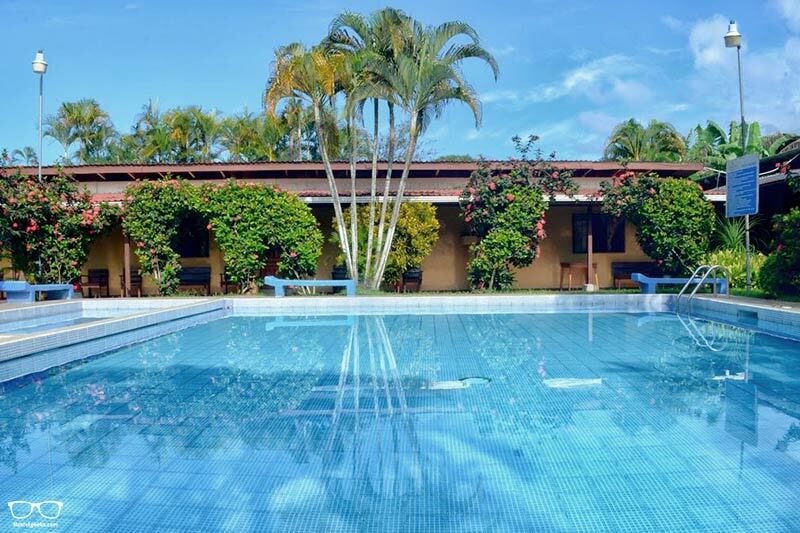 The friendly staff, beautiful garden and refreshing swimming pool will have you feeling at home in no time. 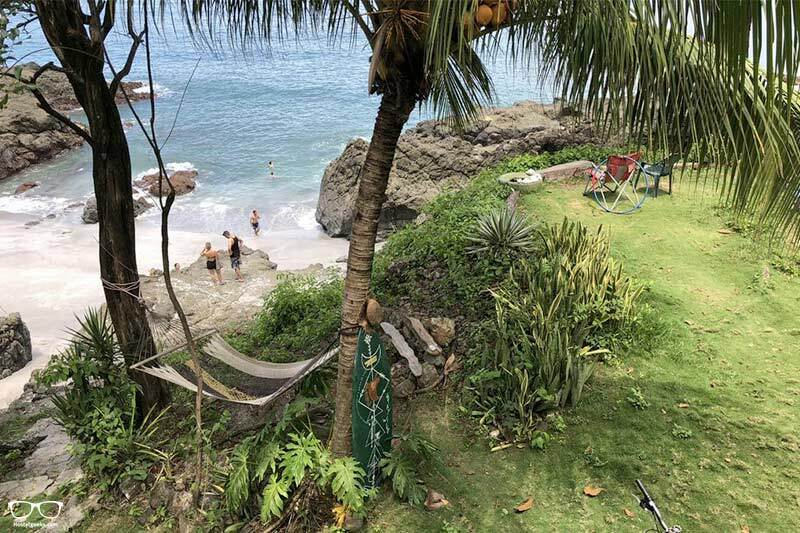 Located quite literally on the doorstep of Manuel Antonio National Park, lovers of nature can enjoy long walks and beautiful beaches before heading back to rustle up a feast in the shared kitchen. 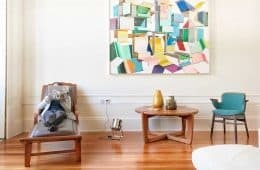 There are rooms options for those looking to indulge as well as stick to a budget. Make sure to also ask about local activities and tours. 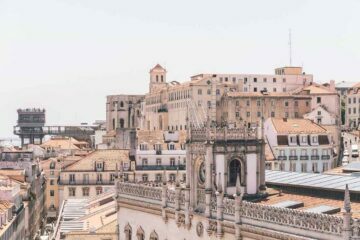 Head to Hostel Plinio if you’d rather avoid the party youth hostels and experience more of a rustic, communal and relaxed atmosphere. We love the large swimming pool and the affordable food at the taco bar. There’s also a kitchen if you prefer, and awesome views form the 3rd floor platform. 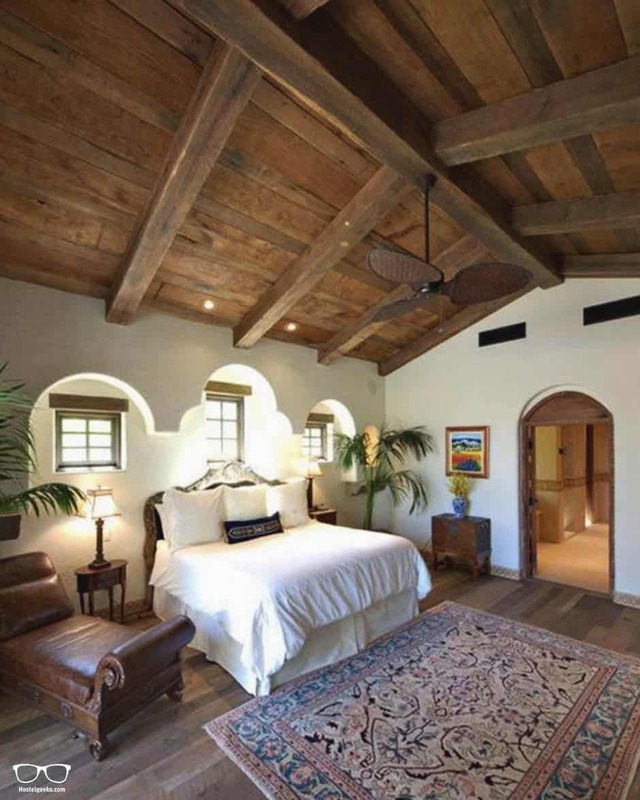 It’s certainly a top choice for couples wishing for a top notch private room on a budget. 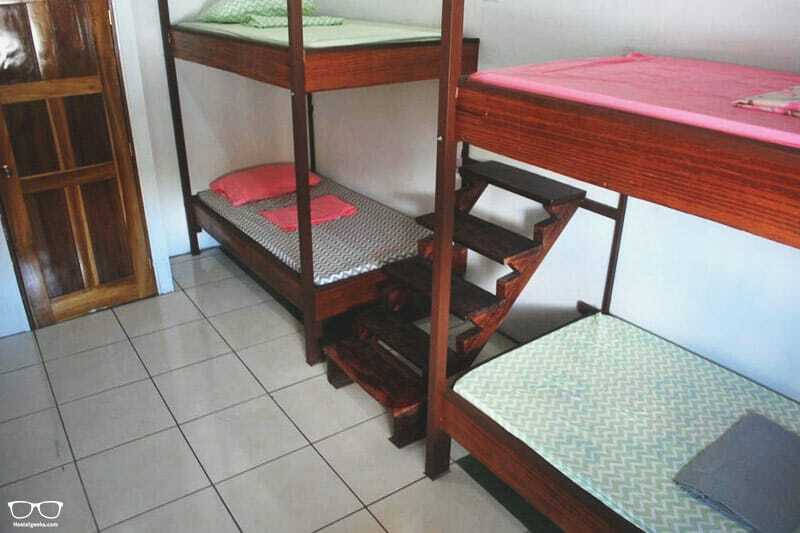 Clear River Hostel has just 3 bedrooms, with 2 beds per room. How cute is that! It’s certainly cosy and the perfect place to relax and really get to know the other guests. All you have to do is look out the door and check the surf. When you’re not out exploring, grab a book and relax in a hammock. Simple. There are lots of activities to get involved in, too. Try out horseback riding, surfing, rent a bicycle and even make chocolate with a local! Down on the south coast of Costa Rica is a small village called Uvita. It’s best known for an annual music event. 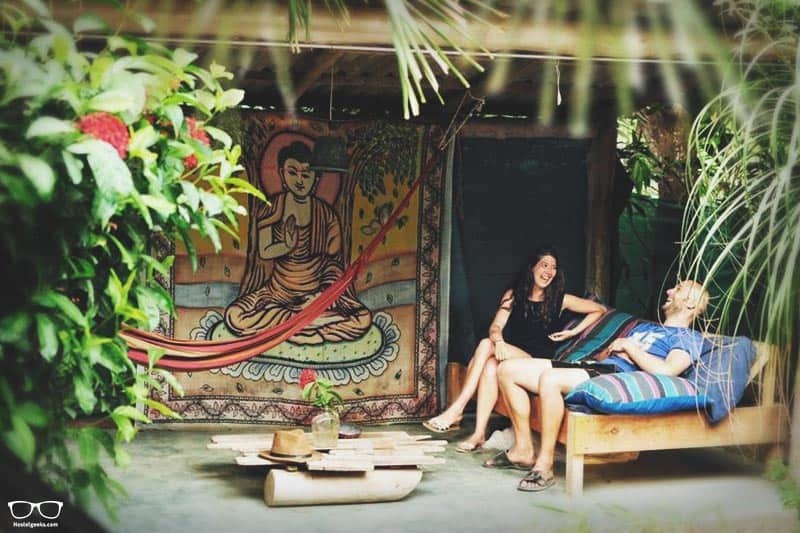 You’ll find Cascada Verde Hostel perched on a little hill, surrounded by wildlife and just 5 minutes from the waterfall of Uvita. 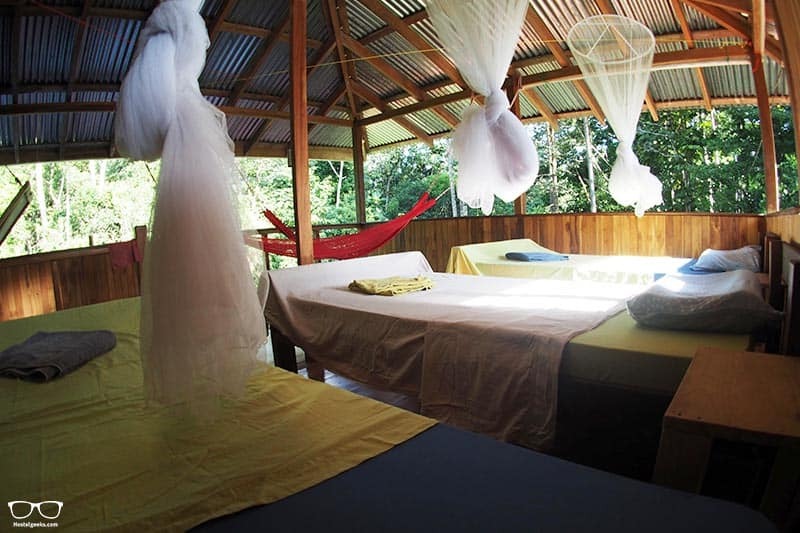 At night time enjoy the sounds of the jungle and by day relax in the secluded jungle location. We just love the open rooms (no windows here!) and basic wooden structure – you’ll be at one with nature in every aspect. 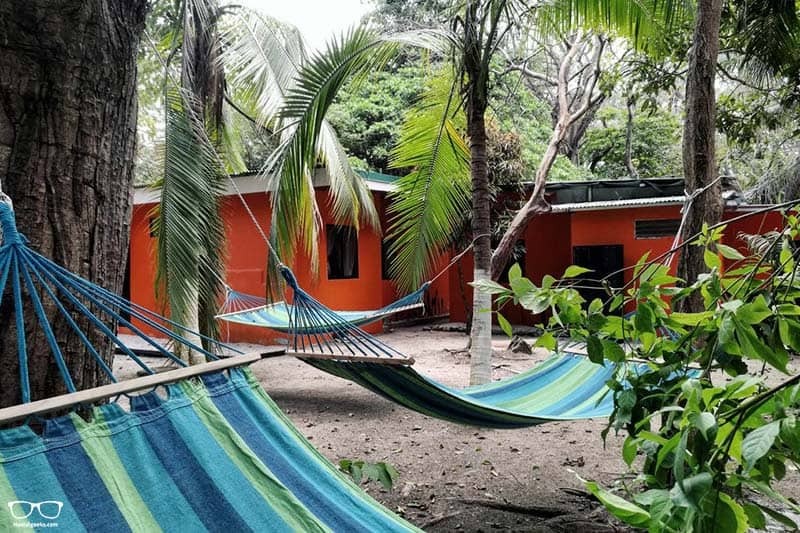 As expected with eco -focused hostels, Casa Ballena is yet another wonderful place to head to and relax. This accommodation boasts a lovely swimming pool, shared open air kitchen and BBQ area. Is it too obvious to mention there are hammocks? Well, there are! Plus a perfect area for practising yoga. Head to Drake Bay and you may stumble across one of the British pirate’s fabled hidden treasures. One thing you’ll find for certain are beautiful hostels. 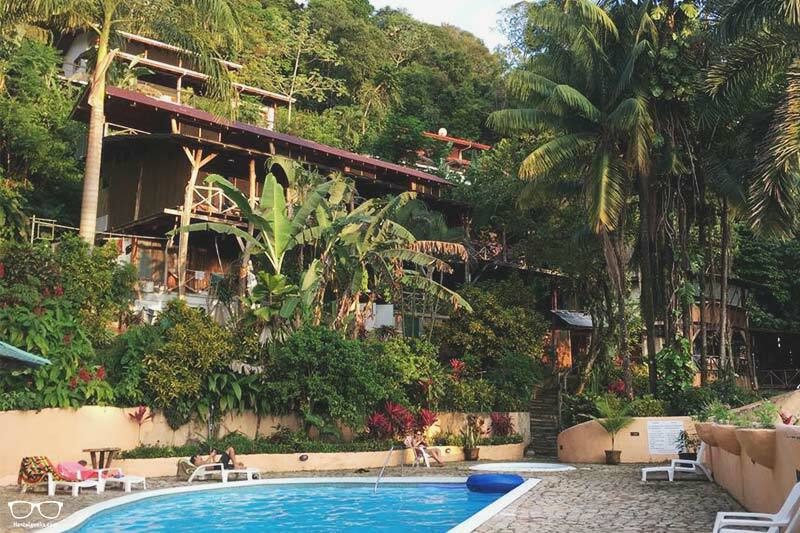 Nestled deep in the rainforest and only 5km from the beach is Corcovado Backpackers. 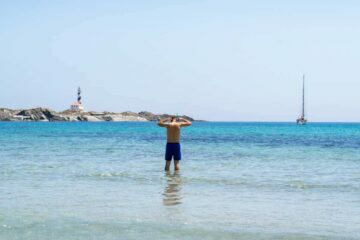 This is ideal for backpackers in search of peace and looking to get close to fantastic nature. There are plenty of options to explore solo, or join one of the activities nearby. You’ll find no bunkbeds here. 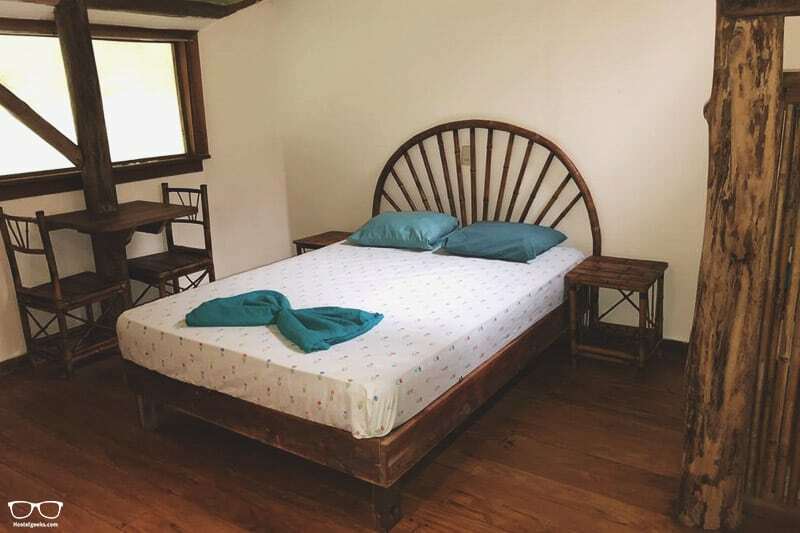 Only spacious rooms with hammocks and beautiful wooden furniture. The large 360 degree garden is to die for. If our #1 choice isn’t quite enough for you, perhaps Martina’s Place will be more your style. Keeping hold of the chill vibe, Martina’s is only 2-minutes from the beach, supermarket and ice-cream place. 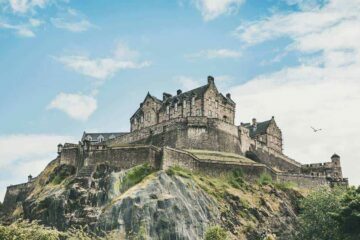 The staff know all there is to know about local tours so make sure you chat with them. The possibilities in this area are endless! After a day exploring enjoy the good wi-fi and free tea and coffee. 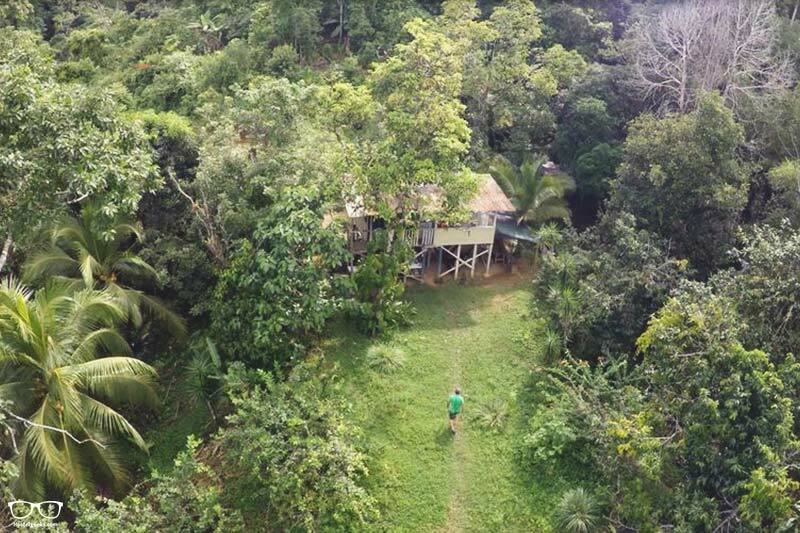 Looking to be immersed in nature, surrounded by rainforest whilst supporting a low-impact hostel? Look no further! 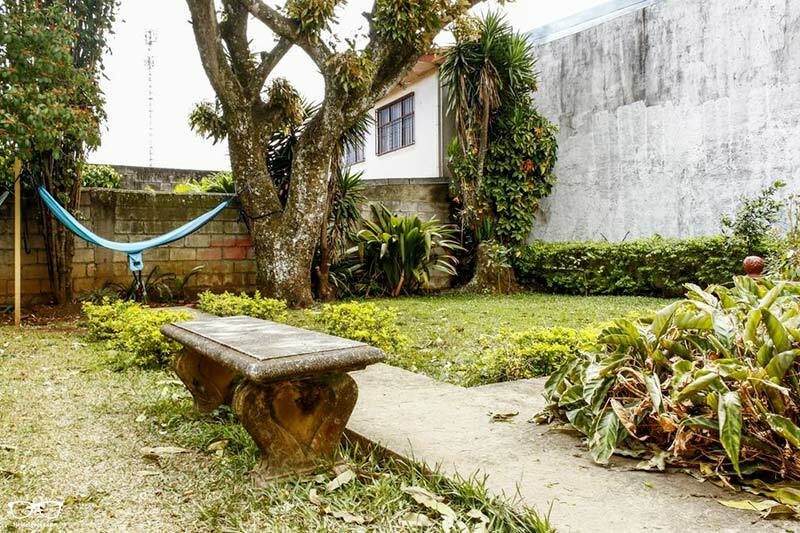 Bolita Rainforest Hostel and Cabinas has created a series of trails surrounding the hostel. Really get to know the 60+ hectares of forest by exploring the 15 kilometres of track. FYI: there is no electricity or refrigeration on-site, so bring plenty of food with you. 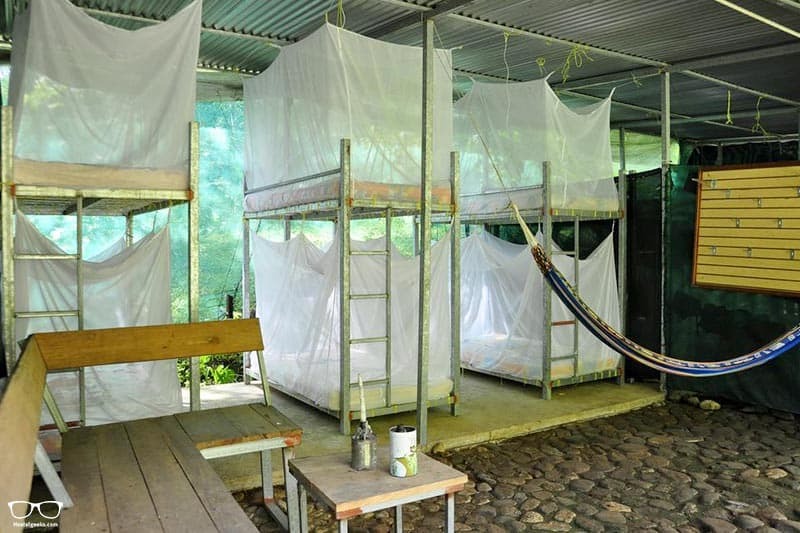 After a big day on foot, relax in a hammock and climb under your mosquito net for a well-deserved siesta. 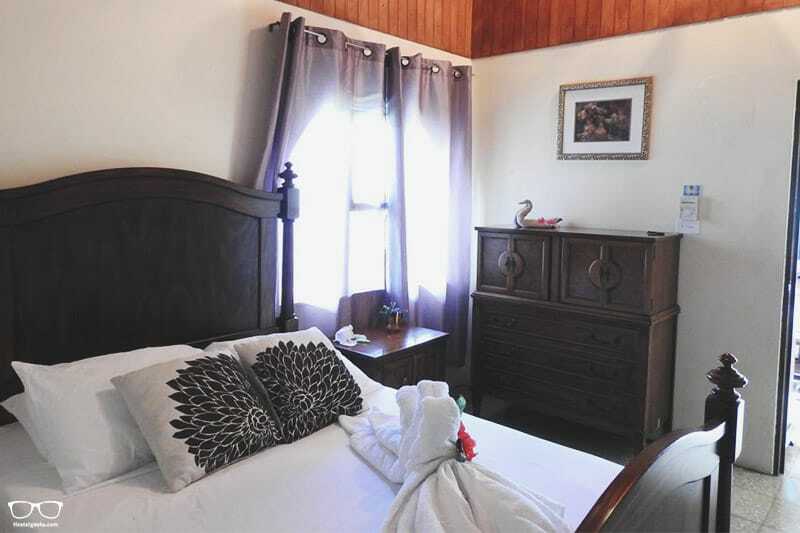 Casa Centuria is an affordable option in Golfito, situated in the area of Heredia and close to the city. It certainly has a home-from-home feel, with a fully fitted kitchen including an oven. The private rooms are particularly enticing and great for couples looking to enjoy each others company in a peaceful setting. On the East Coast of Costa Rica is the stunning sandbar of Tortuguero. The beaches in this area are a major nesting site for green turtles, and the rainforest shelter beautiful animals such as the jaguar and tapir. Tortuguero National Park is within 700 metres of Hostel Tortuguero 7BackPackers. It’s the staff that really make this hostel stand out as they genuinely care. They’ll welcome you with a drink and put together a delicious breakfast of fresh, local fruit for you. A nice little touch: all rooms are fitted with a coffee machine. 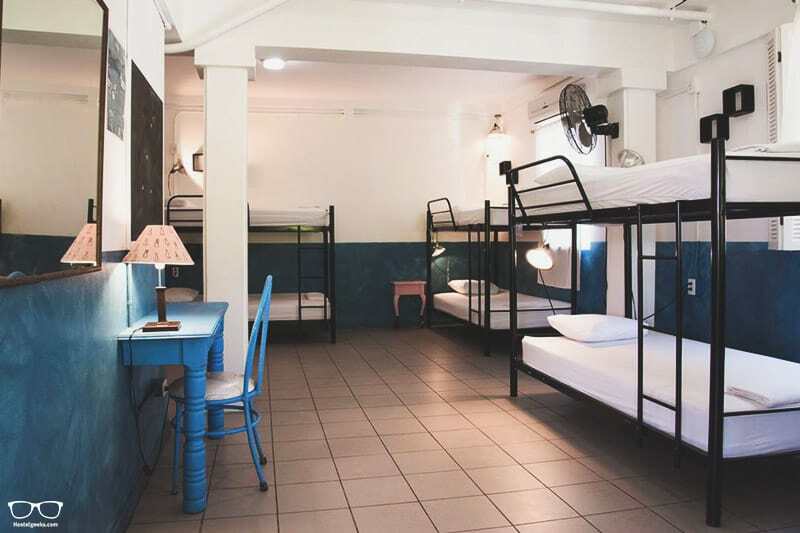 The many rooms spread over private and dorms suit all budgets and come with bed lights, sockets and free Wi-Fi. This area of southeast Costa Rica is known for the Salsa Brava surf break and gorgeous beaches. 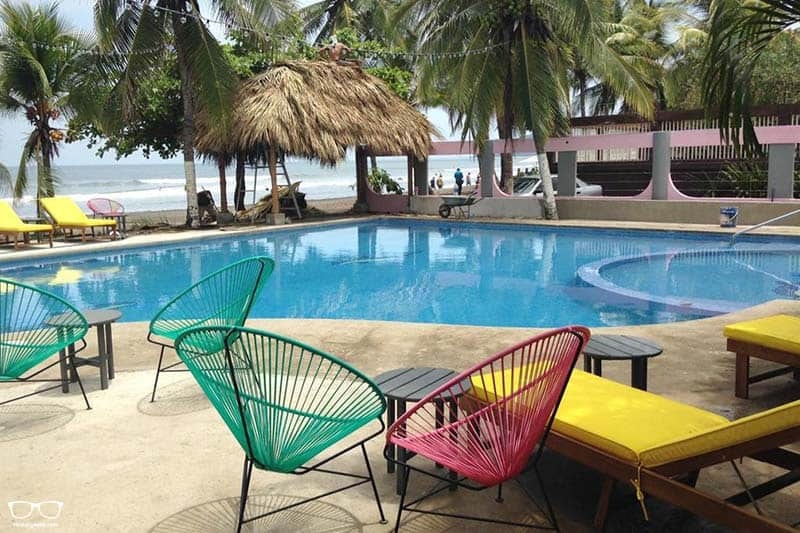 To kick start here is a gorgeous beachfront hostel and bar located 2km from Puerto Viejo. It’s possible to stay in a dorm with super sturdy bunks, or sleep under the stars in the camping area. Either way you can make use of the facilities including kitchen, bar, restaurant and hammock area. Breakfast is included! Oh and a few extras: surf lessons and bike hire is available. 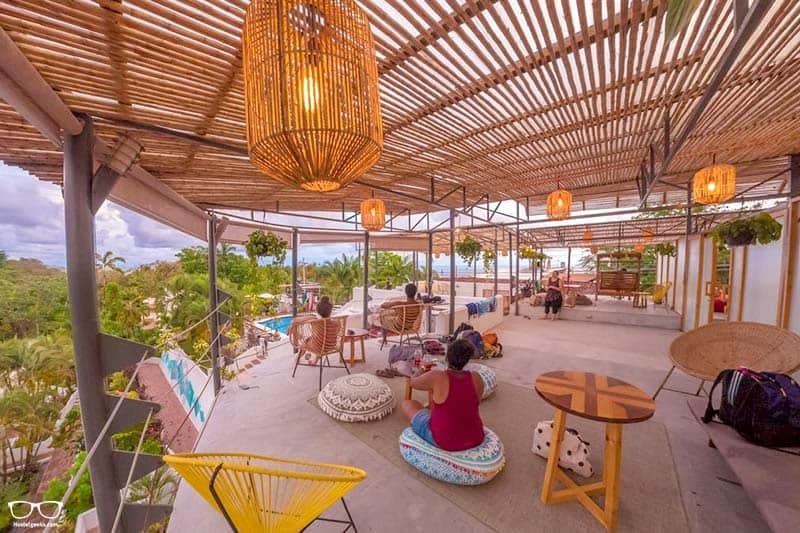 Another contender is the absolutely beautiful Selina Puerto Viejo; a sustainable co-working space that offers bright decor and great facilities. The rooms are colourful, spacious and perfectly designed for people to get to know one another. 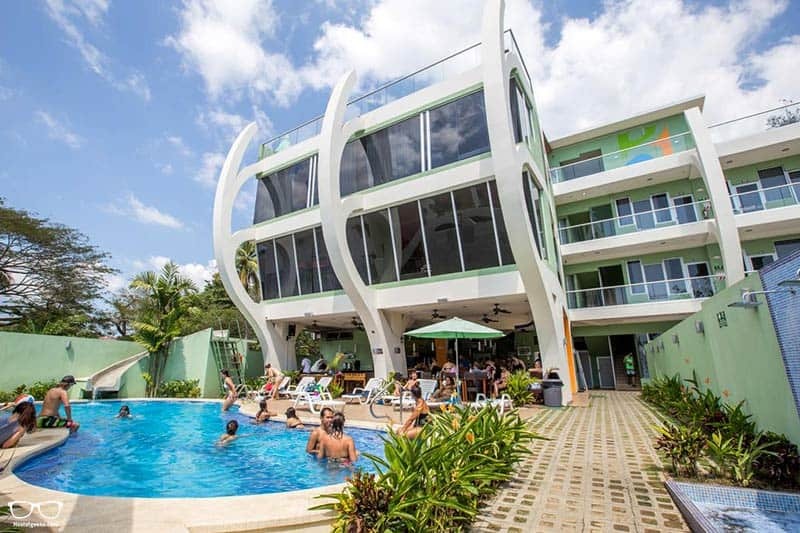 All that’s left to do is head to nearby Puerto Viejo for the vibrant nightlife and endless activities on offer. 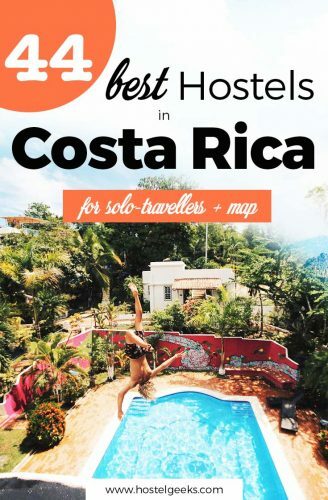 All we can say is good luck choosing amongst all of these awesome hostels in Costa Rica! Travelling around Costa Rica can be slow. And by that we mean slow-paced! There is a lot of surfing and chilling to be had here. 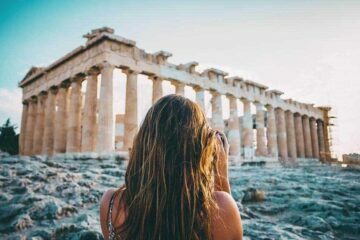 In which case, it might be an idea to choose 2-3 destinations during your time in the country. Not surprisingly, San José is the best city to start in. It’s the capital of Costa Rica and the most convenient place to fly in to. Please please leave us a comment. We would be thrilled to help you. With your question you also help us to improve this article.